Expecting? Announce it in the mom.life app so we can celebrate with you! One of the most exciting parts for expecting families has to be making the pregnancy announcements to their friends and family members! Getting to share your big news with the people who love and support you, with those who have possibly been on the journey with you, is an awesome thing that many newly expecting moms anticipate. 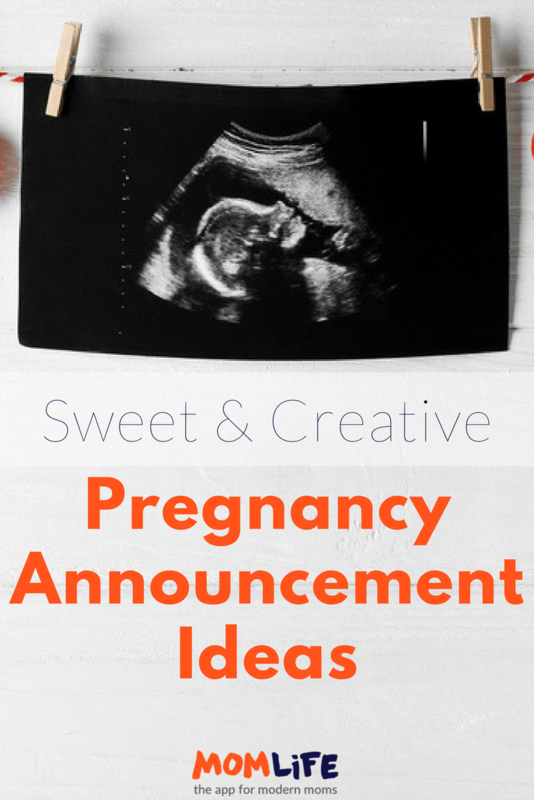 With today’s technology and social media options, there are so many creative pregnancy announcement ideas out there to inspire you! And, if we’re honest, pregnant or not, we just love watching people share this joyful news! So, whether you are expecting, hope to be, or already feel your family is complete, we know you’ll enjoy these creative pregnancy announcements! Rachel Earls discovered she was pregnant shortly before Christmas of 2016. She decided to surprise her husband with the news on Christmas Day. Watch his sweet, emotional reaction. When family vlogger, Tara discovered she was pregnant, she was of course super excited to share the big news with her sister. Little did she know, her sister had a big announcement too! You can see Tara and her hubby’s newest edition on her Instagram channel -THE CUTE! Popular YouTuber’s Kyra and Oscar from OKBaby suspected they were pregnant. Watch Oscar and baby Levi turn the tables on Kira in this fun pregnancy announcement. Even baby Levi looks excited about the news! And their reaction is the sweetest! All four kids are so excited to be big sisters and brothers. You can tell that they are going to rock at it. And, because we love it when kids keep it real, we wanted to throw this one at you to remind you that sometimes, it’s not all rainbows and sunshine when it comes to pregnancy announcements. Sometimes, it’s just exasperating! Trey, thank you for being basically all of us who know that older sibling life! Share your pregnancy news in the mom.life app and connect with other moms who are expecting too!